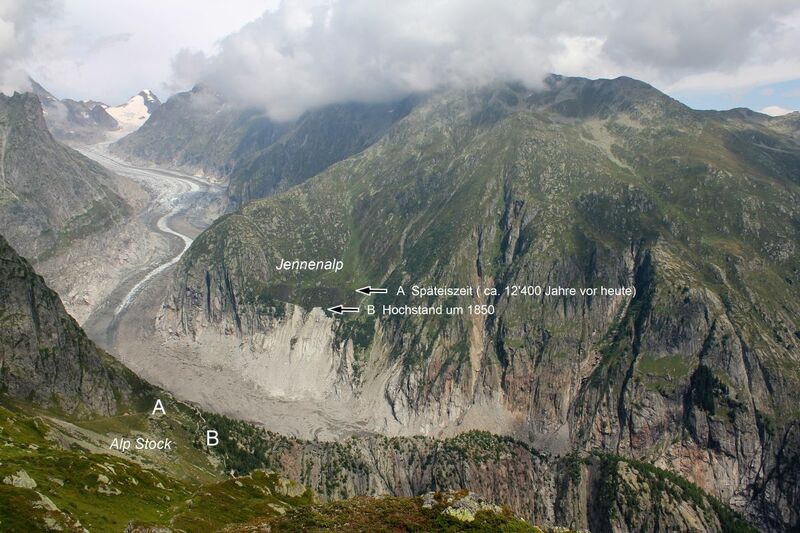 The Fiescher glacier and its moraine ramparts of different age. 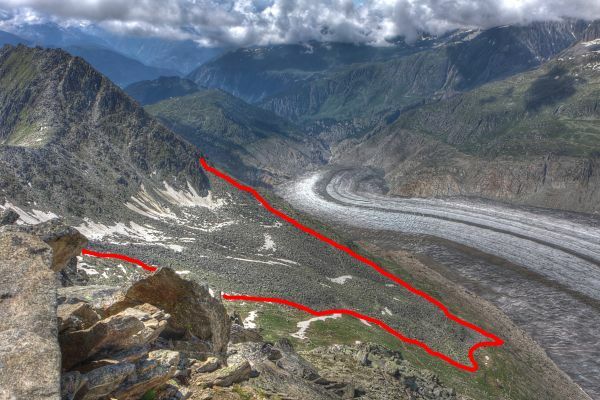 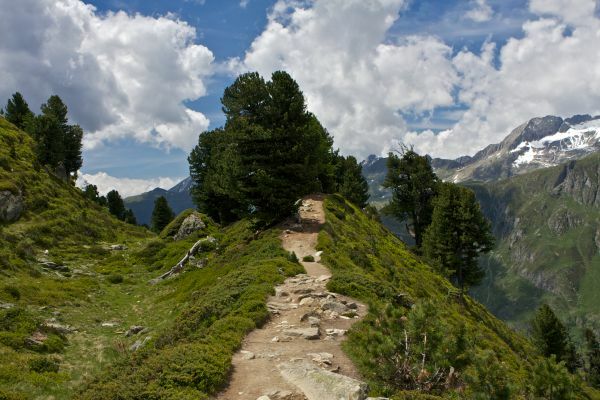 From the trail starting on Märjelenalp and leading around the Tälligrat you can enjoy a splendid view to the Fiescher glacier, the lesser known of the two ice giants in the Aletsch region. 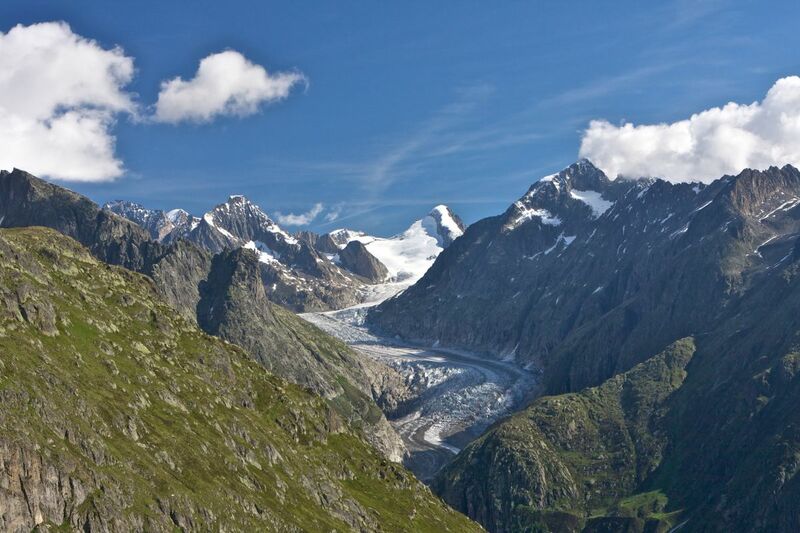 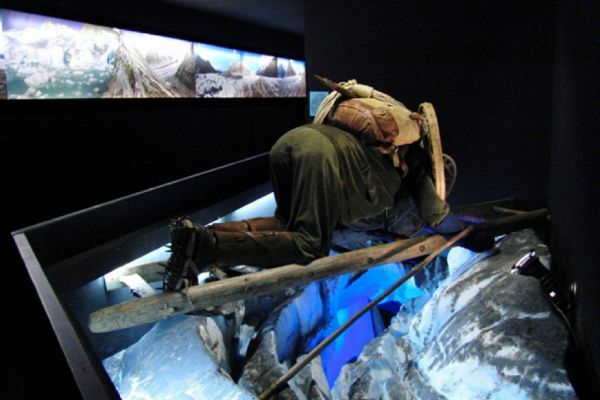 With a length of 15,1 km, it is the second longest and with an area of 31,2 km2 it is the third largest glacier in the Alps. 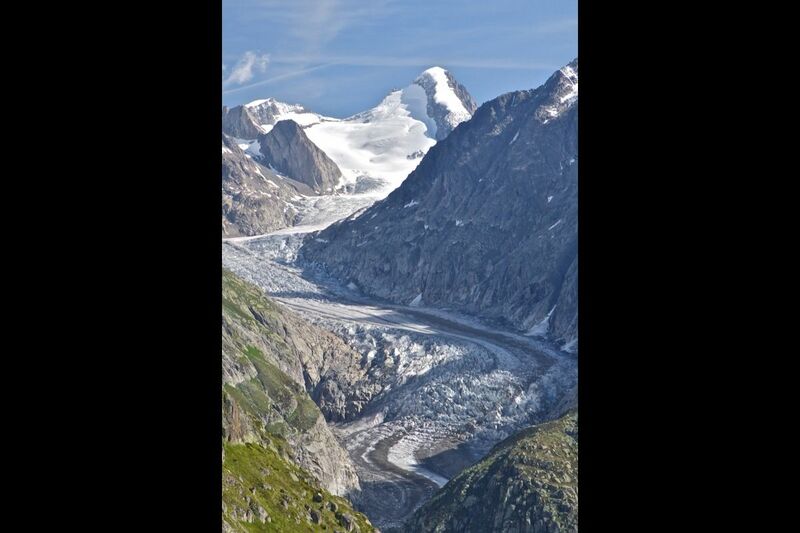 From Gross Fiescherhorn at approximately 4000 m a.s.l. 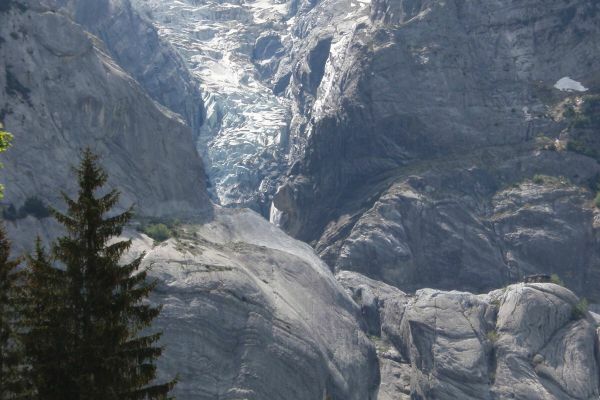 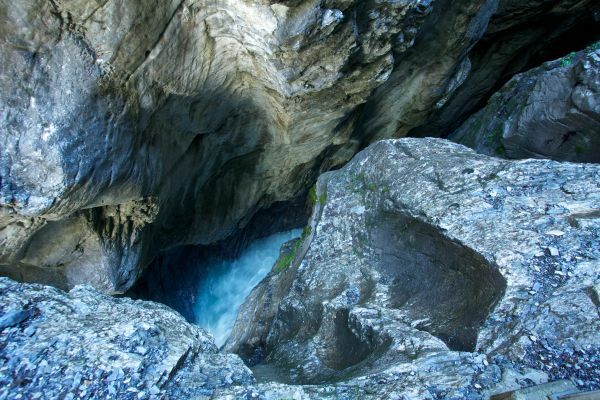 the Fiescher glacier squeezes through the narrow valley between Wannenhorn and Wasenhorn and ends today near the "castle", the northern part of a northwest-southeast running rock faces at around 1700 m a.s.l. 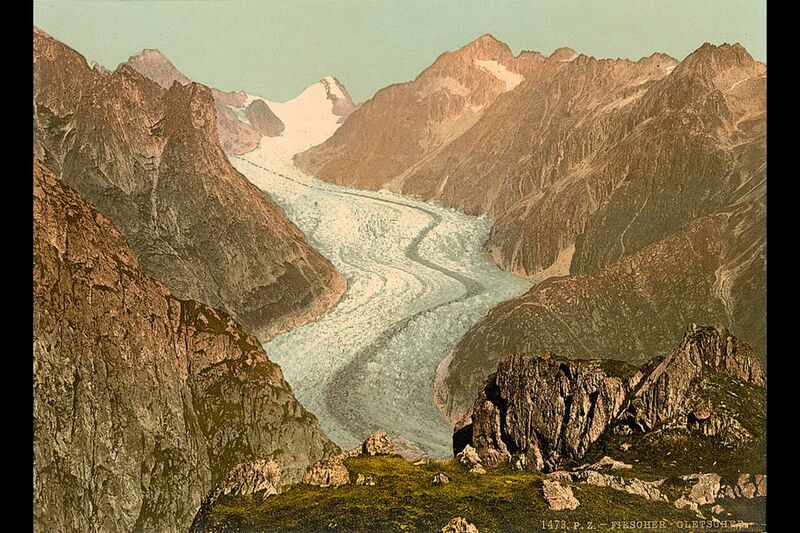 The Fiescher glacier receives additional ice from the Studer and Galmi glaciers. 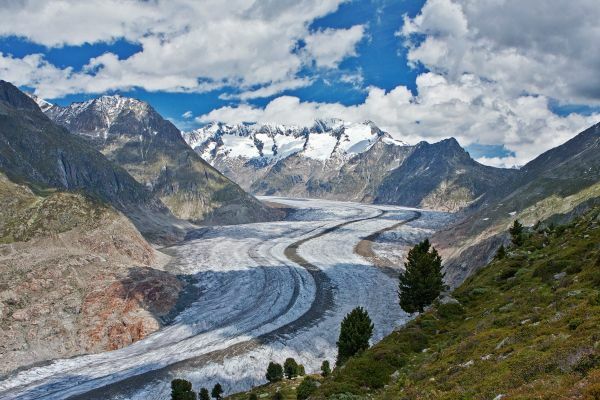 With its curved medial moraine which has its origin from the confluence of these two glaciers, it is an impressive photo subject which you should not miss.